Colorado is in a class by itself when it comes to outdoor adventure. 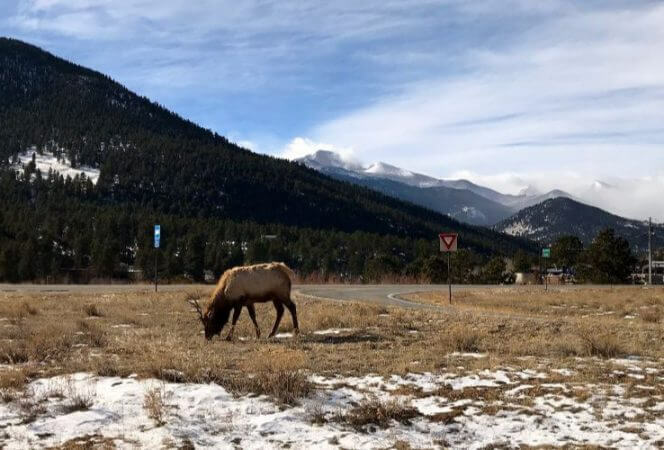 Ever since our first visit, my family has felt the magnetic pull of the state’s majestic Rocky Mountains, making us return season after season for new Colorado experiences, from skiing and hot spring soaking in the winter to horseback riding and river rafting in the spring. We can’t get enough. 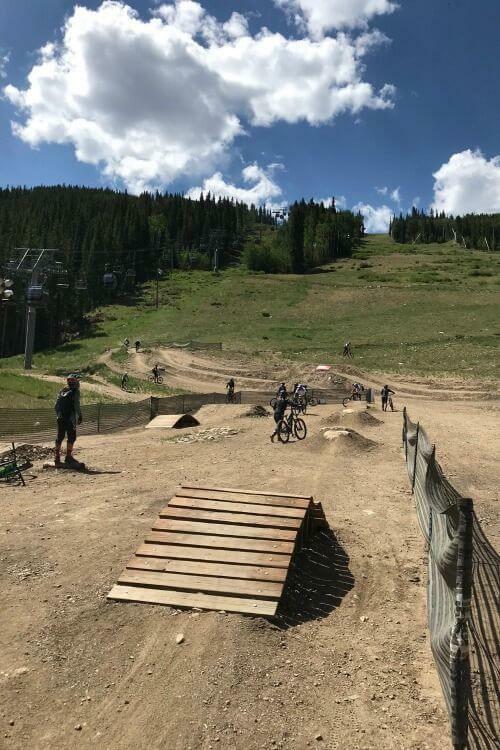 So, when offered the chance to try summer mountain biking and snow tubing at Keystone Resort, we jumped at the chance. We packed our bags with clothes we didn’t mind getting muddy and booked our flights. Even the concerned looks on people’s faces when I talked about how my three boys were going to love hurtling down mountains on borrowed bikes didn’t give me pause. I just knew we were going to have the summer vacation of a lifetime at Keystone Resort. *Heidi and her family were guests of Keystone Resort for the purposes of this review. As always, opinions are 100% our own. Keystone Resort is 3,000-acre mountain playground. 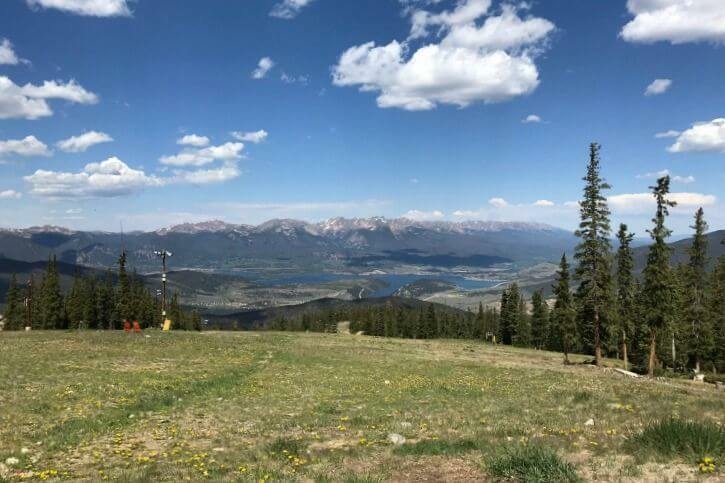 Home to three mountains, which you can view year-round from a scenic ski lift or gondola ride, Keystone is a breathtaking corner of the White River National Forest of the Rocky Mountains, located 90 minutes west of Denver. riding a ski lift up 11,640 feet to try free slacklining on a mountaintop. high speed snow tubing at Adventure Point. paddle boating on Keystone Lake. enjoying a free Kidtopia Independence Day Party with kite-making, face painting, crafts, live music, and a bike parade. 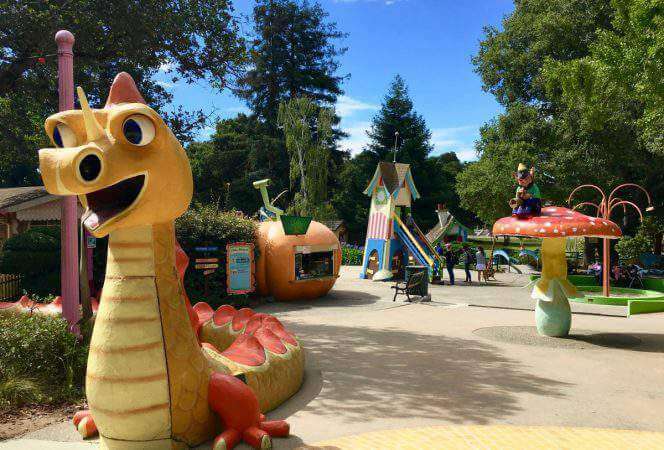 relaxing, eating, playing on the playgrounds, shopping and mini golfing in the quaint River Run Village. swimming, hot tubbing, and steam room relaxing near our Expedition Station condo. mountain biking down a real mountain, which turned out to be the adventure of a lifetime. There is nothing better than playing in real snow, without the hassle of being cold. At least for my family of Texans. We’re ill equipped to deal with actual winter, but we sure do love snow! So, snow tubing in July was just the ticket for us. We rode the ski lift up nearly 12,000 feet to the top of the mountain, and hopped in tubes to be pushed (or if we were lucky, spun) down the groomed lanes of snow. The tubes went much, much faster than I was expecting. My boys were thrilled. There were lots of happy screams, a few lost hats. Adding to the fun, attendants allowed us to hold on to each other’s tubes, so we could fly down the mountainside in groups of two, three, or four. Once at the bottom of the lanes, we’d hop aboard a fully enclosed magic carpet, which would whisk us, and our tubes, back to the top. Then we could go down again in a different configuration. The hour we had for snow tubing went by fast, but we got in plenty of runs (and even a few quick snowball fights). Then, it was on to a delicious lunch (with a margarita for Mom) at the Overlook Grill, right on top of the mountain. The views could not be beat! The main reason for our visit to Keystone was to give mountain biking a try, so I wanted to be sure we got the full experience (and lived to tell about it). 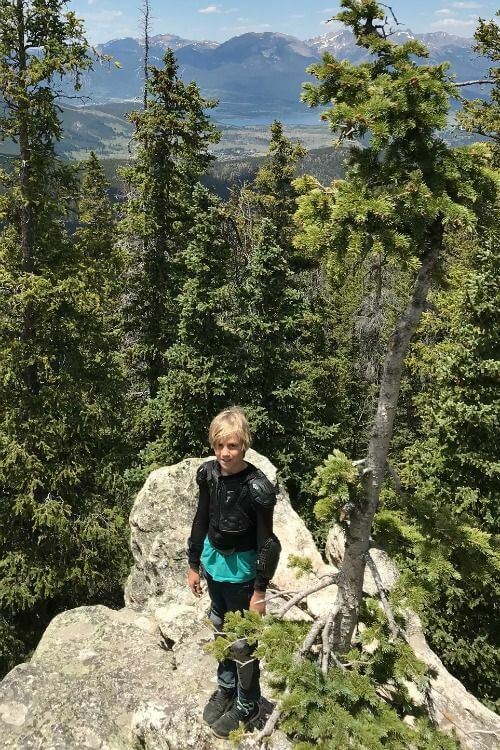 My boys–ages 10, 12, and 16–can ride bikes, but there are hardly any hills where we live, let alone mountains. So, we started the day with a Keystone Bike Academy family lesson, led by certified mountain biking instructor Arlin Goss. 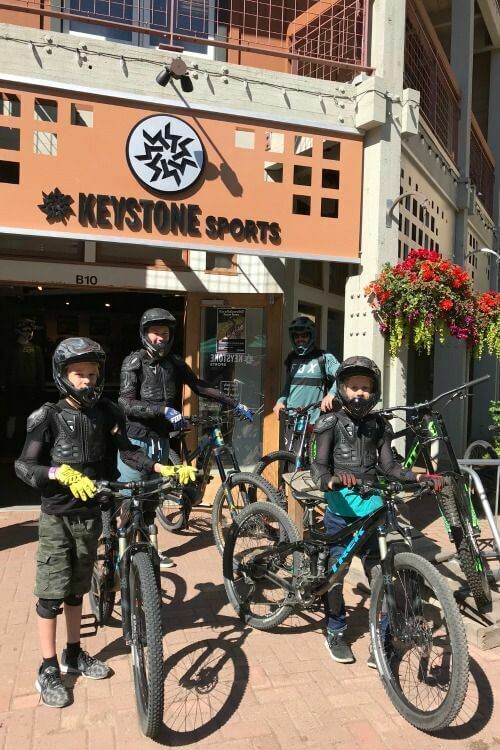 After renting bikes at Keystone Sports, and borrowing all the protective gear necessary (padded vests, knee and shin guards, gloves, helmets, and even shoes), we headed outdoors for Mountain Biking 101. Perhaps I should start by explaining that I didn’t really understand what mountain biking was at the outset of this vacation. I thought, “How fun! The ski lift will take us and our bikes up the mountain, and all we’ll have to do is ride down. Easy!” Turns out, it is a little more involved than that. Arlin taught us the proper technique for standing (you’re not supposed to sit on a mountain bike), how to position our bodies to turn so we wouldn’t skid out, and how to brake without flipping over our handlebars (important!). His three cardinal rules were: eyes out front, one finger on each handbrake, and feet level while standing (no flamingo feet). It was a fairly intense introduction – mountain biking is more challenging than you might think. These are the practice ramps! We started our lesson on flat pavement, learning the basic skills. Then, we graduated to the Skills Park, where we got to try navigating moguls, rock gardens, berms, and boardwalks. After three hours of instruction, we were… still not amazing. But Arlin had mercy on us and let us try a few Keystone Bike Park trails. It took us two hours to get from the top of the mountain to the bottom. Yes, we were THAT good! (For reference, it takes experienced bikers about 20 minutes.) But, can you guess what the first the boys said when we got to the bottom? “Can we do it again? Please? !” They loved it. The reward was worth it! 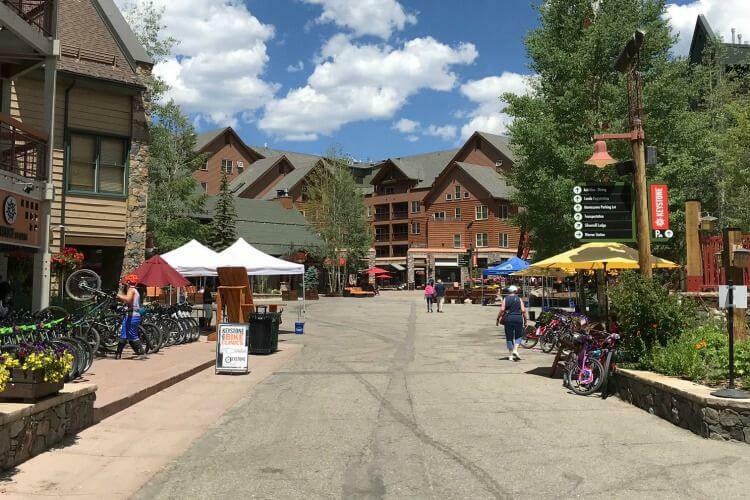 When not traveling up and down mountains, we were soaking up the Colorado sunshine at River Run Village–walking distance from our River Run condo–and being quite lazy. We felt downright indulgent those two days at Keystone Resort. It is a wonderful place to relax and wander around aimlessly, shop, play, and eat. A lot. Our favorite places to dine in River Run Village were Inxpot (my 16-year-old swears by the Norwegian – a breakfast sandwich with honey smoked salmon, chive cream cheese, capers, red onion, and tomato) and Montezuma Roadhouse (I highly recommend the Creamsicle Mimosa – it is to die for). We also took a trip on the free Keystone Resort shuttle to check out the hopping Lakeside Village, at the other end of the resort. 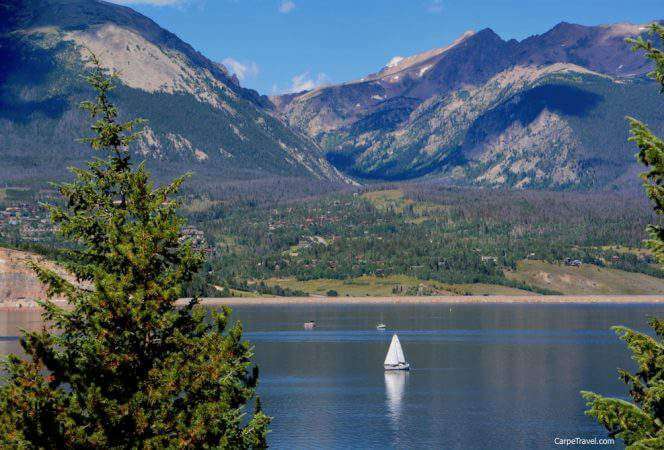 This sprawling village encircles Keystone Lake and offers even more family fun, from a small beach area to water sports. 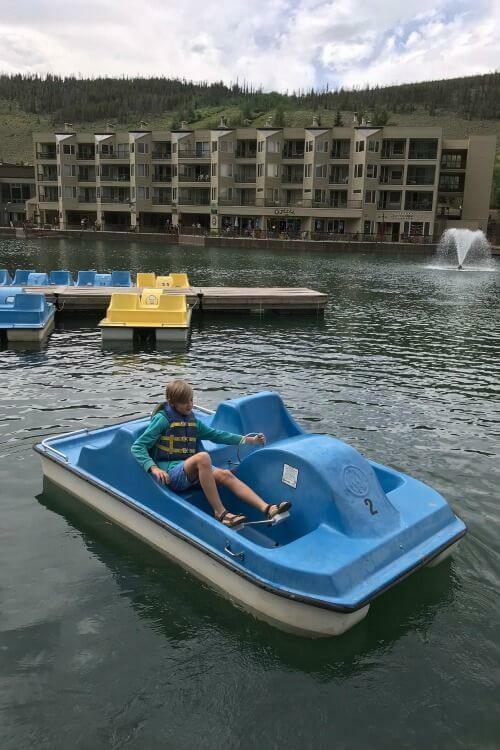 My boys and I rented paddle boats, but we could have also tried stand up paddle boards or kayaks. 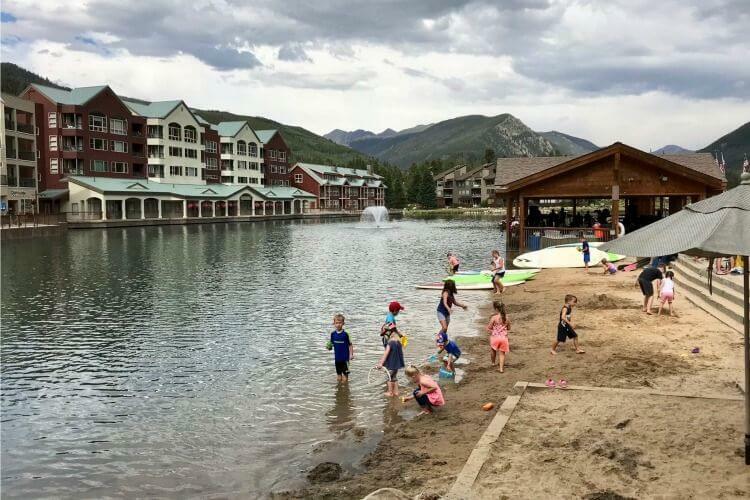 While there, the Resort’s Kidtopia Summer Signature Event was offering free festivities around the lake, including a fishing derby, photo booth, crafts, and prizes. Our time was cut a little short by impending weather, so we headed inside for dinner at the Bighorn Bistro and Bar. Oh boy. Dinner. If you ask my foodie boys, this meal was the highlight of our trip. Located in Lakeside Village, Bighorn Bistro & Bar offers fine dining without all the fuss. We sat by the window with a view of the Keystone Lake and Continental Divide, and ate seafood and steak until we thought we might burst. My 12-year-old tried calamari for the first time and my 16-year-old had the best steak of his life. In fact, he took a picture of his meal that now hangs on his bedroom wall. 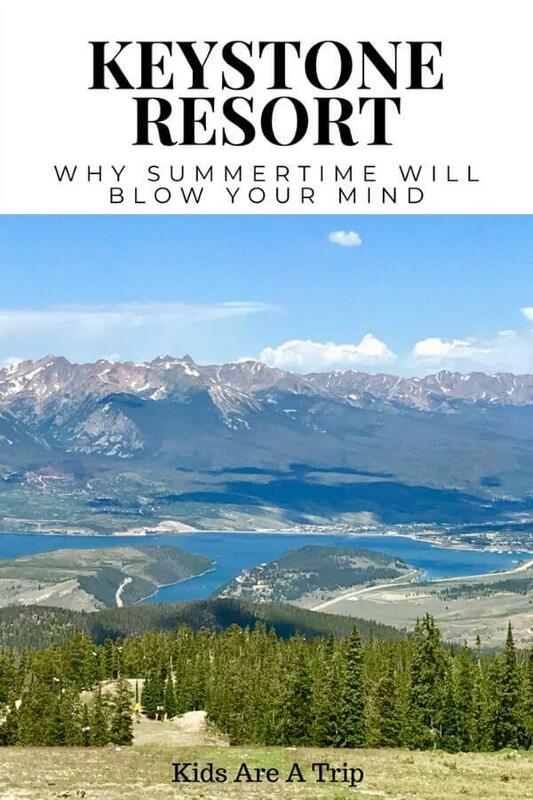 Truly, we loved everything about our whirlwind summer vacation at Keystone Resort. My boys have not stopped talking about mountain biking since our return home to Texas. I finally went and bought them each (cheap) mountain bikes, which they now ride (in our flat neighborhood) every day. There are so many activities that we missed out on due to the time restraints of our trip. For example, when you book directly through Keystone, you can enjoy free summer guided hikes, free tennis court rentals, free yoga, free mountainside concerts, free kids’ activities, and more. Obviously, we need to go back! My kids and I can’t wait to return to Keystone Resort. *All photos/videos property of Heidi Gollub.